Everywhere I turn people are talking about the Supermoon. Have we run out of superheroes? Dawn of the Planet of the Apes not as exciting as expected? The heat finally getting to us? Is the moon this close to Earth really affecting our brains? I have no answers; just curious. Thinking of this Supermoon and all the fuss I thought I’d finally watch Gravity, it seemed somehow fitting. Someone should have warned me I needed anti-nausea pills. 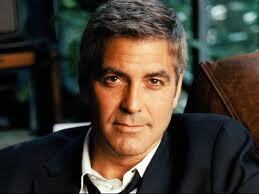 I felt like I was spinning…and it wasn’t just George Clooney, handsome devil. 1. Sandra Bullock should not look this good, even with help. 3. It made me dizzy. And a little nauseated. But I guess in a good way. 4. It made me think (gasp) of how you can be just as alone surrounded by a hundred, a thousand, a million, a billion people as you can in the cold silence of space. 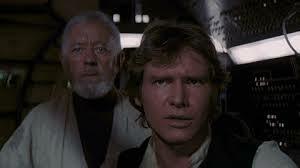 It was like Castaway, in space, but shorter, and no Wilson. 5. Watching Gravity I couldn’t help but think, if this space station slows to less than 17,500 miles per hour it will blow up (clearly I have seen Speed too many times). Stay calm. It’s still the moon, just closer in its elliptical orbit than usual. It’s not going to fall on us or significantly change the tides…well, unless some aliens do something, but then have no fear, The Doctor (DoctorWho) will save us. Don’t go near any werewolves, I have no scientific evidence to back this up but I’m guessing Supermoons make werewolves hungrier. If you’re going to dance naked, pay tribute or alternately worship the Supermoon, remember, everyone has a camera with them at all times. 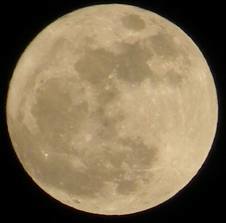 There will be 2 more Supermoons this summer, August 10 and September 9, so if you miss out you can see it later. The moon is slowly moving away from the Earth which is sad, I know we’ve had our differences, but I’d hoped we could work things out. So, enjoy the gorgeous supermoons (5 in total in 2014); Earth won’t be destroyed, unless it turns out that it’s not the moon but the Death Star. 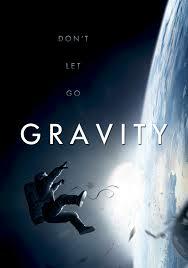 I enjoyed Gravity. Saw it at a theatre where for once the big screen and 3D actually made a difference. The scenario of surviving through that, not to mention swimming at the end even with the atrophied muscles, seemed even more impossible than most movie scenarios. I just now came up with a theory that somewhere along the way, maybe on the capsule with imaginary George, she actually did die. What do you all think? Kind of like “Lost” in Space. I went with adrenaline because she wasn’t in space that long and people are capable of extraordinary things. I can’t ever believe anyone who disappoint us as much as Lost ever again…then again, we haven’t seen how The Walking Dead ends so I guess never say never. The whole movie was pretty out there, but if someone died every time they imagined George Clooney was there with them so much of the world’s population would be goners. Yes I suppose people will riot if at the end of Walking Dead Rick just wakes up in his hospital bed after being shot and everything is fine. Given the events foretold back in the 70s in “Space 1999” I guess we should be happy the moon is still in Earth’s orbit! Loved Space 1999. That show was way ahead of it’s time. Oh Donna, You cracked me up this morning! This post was all over the place and I laughed all of the way through! I haven’t seen the movie yet, but I read all of Neal Tyson deGrasse’s tweets about it! Thank you, I enjoyed doing it, I’m glad it showed.